God speaks His words and does His work according to different ages, and in different ages, He speaks different words. God does not abide by rules, or repeat the same work, or feel nostalgia for the things of the past; He is a God who is always new and never old, and every day He speaks new words. You should abide by that which should be abided by today; this is the responsibility and duty of man. It is crucial that practice be centered around the light and words of God in the present day. God does not abide by rules, and is able to speak from many different perspectives to make plain His wisdom and omnipotence. It matters not whether He speaks from the perspective of the Spirit, or of man, or of the third person—God is always God, and you cannot say that He is not God because of the perspective of man from which He speaks. Among some people there have emerged conceptions as a result of the different perspectives from which God speaks. Such people have no knowledge of God, and no knowledge of His work. If God always spoke from one perspective, would man not lay down rules about God? Could God allow man to act in such a way? Regardless of which perspective God speaks from, God has His aims for each. If God were always to speak from the perspective of the Spirit, would you be able to engage with Him? Thus, sometimes He speaks in the third person to provide His words to you and guide you into reality. Everything that God does is fitting. In short, it is all done by God, and you should not be doubtful about this. Provided that He is God, then no matter what perspective He speaks from, He is still God. This is an immutable truth. However He works, He is still God, and His substance will not change! Peter so loved God and was a man after God’s own heart, but God did not witness him as the Lord or Christ, for a being’s substance is what it is, and can never change. In His work, God does not abide by rules, but employs different methods to make His work effective and increase man’s knowledge of Him. His every method of working helps man know Him, and is in order to make man perfect. No matter which method of working He employs, each is in order to build up man and make man perfect. Though one of His methods of working may have lasted for a very long time, it is in order to temper man’s faith in Him. Thus you should not be doubtful. These are all the steps of God’s work, and must be obeyed by you. Today, what is spoken of is entry into reality. There is no talk of ascending to heaven, or ruling as kings; all that is spoken of is the pursuit of entry into reality. There is no more practical pursuit than this, and to talk of ruling as kings is not practical. Man has great curiosity, and he still measures God’s work today by his religious conceptions. Having experienced so many of God’s methods of working, man still does not know the work of God, still seeks signs and wonders, and still looks at whether God’s words have been fulfilled. Is this not great blindness? Without the fulfillment of God’s words, would you still believe that He is God? Today, many such people in the church are waiting to behold signs and wonders. They say, If God’s words are fulfilled, then He is God; if God’s words are not fulfilled, then He is not God. Do you, then, believe in God because of the fulfillment of His words, or because He is God Himself? Man’s view of belief in God must be put right! When you see that God’s words have not been fulfilled, you run off—is this belief in God? When you believe in God, you must leave everything to the mercy of God and obey all the work of God. God spoke so many words in the Old Testament—which of them did you see fulfilled with your own eyes? Can you say that Jehovah isn’t God because you have not seen that? Seeing that the words of God have not been fulfilled, some wish to run away. Whoever wants to go should go, no one is stopping them! Try it, see if you can run away. Having run away, you’ll still come back. God controls you with His word, and if you leave the church and the word of God, you will have no way of living. If you don’t believe this, try for yourself—do you think you can just leave? The Spirit of God controls you, and you cannot leave. This is an administrative decree of God! If some people want to try, well, they can! You say this person is not God, so commit a sin against Him and see what He does. It is possible that your flesh will not die and you will still be able to feed and clothe yourself, but mentally it will be unbearable; you will feel stressed and tormented, nothing will be more painful. Man cannot bear to be mentally tormented and ravaged—perhaps you are able to endure the suffering of the flesh, but you are utterly incapable of enduring mental stress and long-lasting torment. Today you cannot see any signs and wonders, yet no one is able to run away, for God uses His word to control man. Intangible, invisible, without the advent of facts, yet still man cannot flee. Are these not the actions of God? Today, God has come to earth to provide man with life. He does not, as people imagine, coax you by showing signs and wonders in order to ensure a peaceful relationship between God and man. All those whose focus is not toward life, and who instead concentrate on making God show signs and wonders, are Pharisees! At that time, it was the Pharisees who nailed Jesus to the cross; if you measure God according to your own view of belief in God, believing in God if His words are fulfilled, and being doubtful and even blaspheming against God if they are not, then do you not nail Him to the cross? People such as this are negligent of their duties, and greedily revel in comfort! On the one hand, the biggest problem with man is that he does not know the work of God. Though man’s attitude is not one of denial, it is one of doubt; he does not deny, but he also does not fully acknowledge. If people have a thorough knowledge of God’s work, then they won’t run away. On the other hand, it is that man does not know reality. Today, it is with the word of God that each person has engaged; indeed, in the future you should not think to behold signs and wonders. I tell you plainly: During the present stage, all you are capable of seeing are the words of God, and though there are no facts, the life of God can still be wrought into man. It is this work which is the main work of the Millennial Kingdom, and if you cannot perceive this work, then you will become weak and fall down, will descend amid trials and, yet more grievously, will be taken captive by Satan. God has come to earth principally to speak His words; what you engage with is the word of God, what you see is the word of God, what you hear is the word of God, what you abide by is the word of God, what you experience is the word of God, and this incarnation of God principally uses the word to make man perfect. He does not show signs and wonders, and especially does not do the work Jesus did in the past. Although They are God, and are both flesh, Their ministries are not the same. When Jesus came, He also did part of God’s work, and spoke some words—but what was the main work He accomplished? What He mainly accomplished was the work of crucifixion. He became the likeness of sinful flesh to complete the work of crucifixion and redeem all mankind, and it was for the sake of all mankind’s sin that He served as a sin offering. This is the main work He accomplished. Ultimately, He provided the path of the cross to guide those who came later. When Jesus came, it was primarily to complete the work of redemption. He redeemed all mankind, and brought the gospel of the kingdom of heaven to man, and, furthermore, He brought forth the path to the kingdom of heaven. As a result, those who came after all said, “We should walk the path of the cross, and sacrifice ourselves for the cross.” Of course, in the beginning Jesus also did some other work and spoke some words to make man repent and confess his sins. But His ministry was still the crucifixion, and the three and a half years He spent preaching the way were in preparation for the crucifixion that came after. The several times that Jesus prayed were also for the sake of the crucifixion. The life of a normal man that He led and the thirty-three and a half years that He lived on earth were primarily for the sake of completing the work of crucifixion, they were to give Him strength to undertake this work, as a result of which God entrusted the work of crucifixion to Him. Today, what work will God incarnate accomplish? Today, God has become flesh primarily in order to complete the work of “the Word appearing in the flesh,” to use the word to make man perfect, and make man accept the dealing of the word and the refinement of the word. In His words He causes you to gain provision and gain life; in His words, you see His work and deeds. God uses the word to chastise and refine you, and thus if you suffer hardship, it is also because of the word of God. Today, God does not work using facts, but words. Only after His word has come upon you can the Holy Spirit work within you and cause you to suffer pain or feel sweetness. Only the word of God can bring you into reality, and only the word of God is capable of making you perfect. And so, at the very least you must understand this: The work done by God during the last days is principally the use of His word to make every person perfect and guide man. All the work that He does is through the word; He does not use facts to chastise you. There are times when some people resist God. God does not cause great discomfort for you, your flesh is not chastised nor do you suffer hardship—but as soon as His word comes upon you, and refines you, it is unbearable for you. Is that not so? At the time of the service-doers, God said to throw man into the bottomless pit. Did man really arrive at the bottomless pit? Simply through the use of words to refine man, man entered into the bottomless pit. And so, during the last days, when God becomes flesh, He principally uses the word to accomplish all and make all plain. Only in His words can you see what He is; only in His words can you see that He is God Himself. When God incarnate comes to earth, He does no other work but the speaking of words—thus there is no need for facts; words suffice. That is because He has principally come to do this work, to allow man to behold His power and supremacy in His words, to allow man to see in His words how He humbly hides Himself, and to allow man to know His entirety in His words. All that He has and is are in His words, His wisdom and wondrousness are in His words. In this are you made to see the many methods with which God speaks His words. Most of God’s work during all this time has been provision, revelation and dealing to man. He does not curse a man lightly, and even when He does, it is through the word. And so, in this age of God become flesh, do not try to see God heal the sick and cast out demons again, do not always try to see signs—there is no point! Those signs cannot make man perfect! To speak plainly: Today, the real God Himself of the flesh only speaks, and does not act. This is the truth! He uses words to make you perfect, and uses words to feed and water you. He also uses words to work, and He uses words in place of facts to make you know His reality. If you are capable of perceiving this kind of God’s work, then it is difficult to be passive. Instead of focusing on things that are negative, you should focus only on that which is positive—which is to say, regardless of whether or not the words of God are fulfilled, or whether or not there is the advent of facts, God causes man to gain life from His words, and this is the greatest of all signs, and even more so, it is an undisputable fact. This is the best evidence through which to have knowledge of God, and is an even greater sign than signs. Only these words can make man perfect. 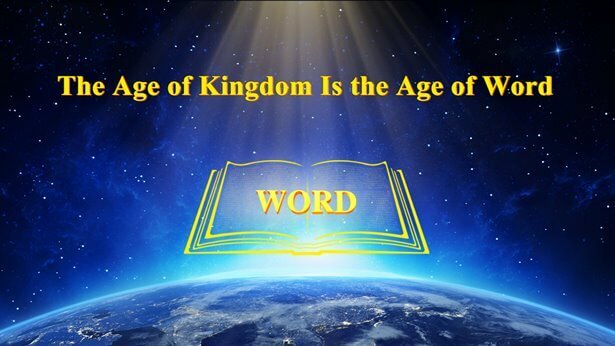 As soon as the Age of Kingdom began, God began to release His words. In the future, these words will be gradually fulfilled, and at that time, man will grow into life. God’s use of the word to reveal the corrupt disposition of man is more real, and more necessary, and He uses nothing but the word to do His work in order to make perfect the faith of man, for today is the Age of Word, and it requires the faith, resolution and cooperation of man. The work of God incarnate of the last days is the use of His word to serve and provide for man. 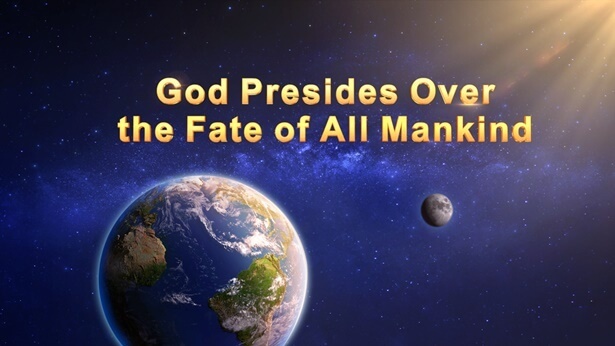 Only after God incarnate has finished speaking His words will they begin to be fulfilled. During the time that He speaks, His words are not fulfilled, because when He is in the stage of the flesh, His words cannot be fulfilled, and this is so that man may see that God is flesh and not Spirit, so that man may behold the reality of God with his own eyes. On the day that His work is complete, when all the words that should be spoken by Him on earth have been spoken, His words will begin to be fulfilled. Now is not the age of the fulfillment of God’s words, because He has not finished speaking His words. So when you see that God is still speaking His words on earth, do not await the fulfillment of His words; when God stops speaking His words, and when His work on earth has been completed, that will be the time His words begin to be fulfilled. In the words He speaks on earth, there is, in one regard, the provision of life, and in another, there is prophecy—the prophecy of things to come, of things that will be done, and of the things that have yet to be accomplished. There was also prophecy in the words of Jesus. In one regard, He supplied life, and in another regard, He spoke prophecy. Today, there is no talk of carrying out words and facts at the same time because the difference between that which can be seen by man’s own eyes and that which is done by God is too great. It can only be said that, once the work of God has been completed, His words will be fulfilled, and the facts will come after the words. On earth, God incarnate of the last days performs the ministry of the word, and in performing the ministry of the word, He only speaks words, and cares not for other matters. Once God’s work changes, His words will start to be fulfilled. Today, words are first used to make you perfect; when He gains glory in the entire universe, it will be the time when His work is complete, when all the words that should be spoken have been spoken, and all words have become facts. God has come to earth during the last days to perform the ministry of the word so that man may know Him, and so that man may see what He is, and see His wisdom and all of His wondrous deeds from His word. During the Age of Kingdom, God principally uses the word to conquer all people. In the future, His word will also come upon every religion, sector, nation and denomination; God uses the word to conquer, to make all men see that His word carries authority and might—and so today, you face only the word of God. I have previously said that “All who focus on beholding signs and wonders will be forsaken; they are not those who will be made perfect.” I have spoken so many words, yet man has not the slightest knowledge of this work, and, having arrived at this point, still man asks for signs and wonders. Is your belief in God the pursuit of seeing signs and wonders, or is it in order to gain life? Jesus also spoke many words, and some of them have yet to be fulfilled today. Can you say that Jesus is not God? God witnessed that He was Christ and the beloved Son of God. Can you deny this? Today, God only speaks words, and if you are incapable of thoroughly knowing, then you cannot stand fast. Do you believe in Him because He is God, or do you believe in Him based on whether or not His words are fulfilled? Do you believe in signs and wonders, or do you believe in God? Today He does not show signs and wonders—is He really God? If the words He speaks are not fulfilled, is He really God? Is the substance of God determined by whether or not the words He speaks are fulfilled? Why is it that some people are always waiting for the fulfillment of God’s words before believing in Him? Does this not mean they do not know Him? All those who possess such conceptions are people who deny God. They use conceptions to measure God; if God’s words are fulfilled they believe in God, and if they aren’t they don’t believe in God; and they always pursue to see signs and wonders. Are they not the Pharisees of modern times? Whether or not you are able to stand firm depends on whether or not you know the real God—this is crucial! The greater the reality of God’s word in you, the greater your knowledge of the reality of God, and the more you are able to stand fast during trials. The more you focus on seeing signs and wonders, the more you are unable to stand firm, and you will fall amid trials. Signs and wonders are not the foundation; only the reality of God is life. Some people do not know the effects that are to be achieved by God’s work. They spend their days in bewilderment, not pursuing the knowledge of God’s work. Their pursuit is always to make God fulfill their desires, only after which are they serious in their belief. They say that they will pursue life if the words of God are fulfilled, but that if His words are not fulfilled, then there is no possibility of them pursuing life. Man thinks that belief in God is the pursuit of beholding signs and wonders and the pursuit of ascending to heaven and the third heaven. There is no one who says that their belief in God is the pursuit of entry into reality, the pursuit of life, and the pursuit of being gained by God. What value has such a pursuit? Those who do not pursue the knowledge of God and the satisfaction of God are people who do not believe in God, they are people who blaspheme God! Now do you understand what belief in God is? Is belief in God beholding signs and wonders? Is it ascending to heaven? Believing in God is not easy at all. Those religious practices should be purged; pursuing healing of the sick and casting out of demons, focusing on signs and wonders, coveting more of God’s grace, peace and joy, pursuing the prospects and comforts of the flesh—these are religious practices, and such religious practices are a vague kind of belief. Today, what is real belief in God? It is the acceptance of God’s word as the reality of your life and the knowing of God from His word in order to achieve a true love of Him. To be clear: Belief in God is so that you may obey God, love God, and perform the duty that should be performed by a creature of God. This is the aim of believing in God. You must achieve a knowledge of the loveliness of God, of how worthy God is of reverence, of how, in His creatures, God does the work of salvation and making them perfect—this is the minimum that you should possess in your belief in God. Belief in God is principally the switch from a life in the flesh to a life of loving God, from a life within naturalness to a life within the being of God, it is coming out from under the domain of Satan and living under the care and protection of God, it is being able to achieve obedience to God and not obedience to the flesh, it is allowing God to gain your entire heart, allowing God to make you perfect, and freeing yourself from the corrupt satanic disposition. 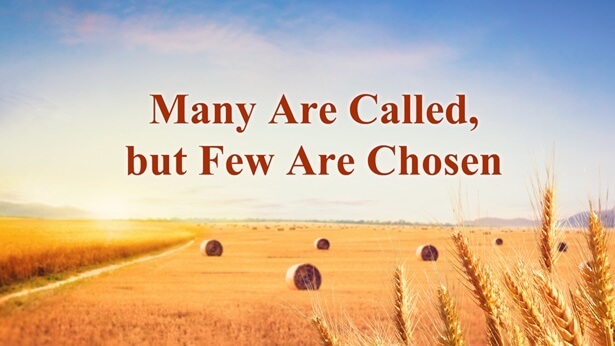 Belief in God is principally so that the power and glory of God may be manifested in you, so that you may do God’s will, and accomplish God’s plan, and be able to bear testimony to God before Satan. Belief in God should not be in order to behold signs and wonders, nor should it be for the sake of your personal flesh. It should be for the pursuit of knowing God, and being able to obey God, and like Peter, obeying Him until death. This is what it is mainly in order to achieve. Eating and drinking the word of God is in order to know God and in order to satisfy God. Eating and drinking the word of God gives you a greater knowledge of God, only after which can you obey God. Only if you know God can you love Him, and the attainment of this aim is the only aim man should have in his belief in God. If, in your belief in God, you always try to behold signs and wonders, then the viewpoint of this belief in God is wrong. Belief in God is principally the acceptance of the word of God as the reality of life. Only putting into practice the words of God from His mouth and carrying them out within yourself is the attainment of the aim of God. In believing in God, man should pursue being made perfect by God, being able to submit to God, and the complete obedience to God. If you can obey God without complaint, be mindful of God’s desires, achieve the stature of Peter, and possess the style of Peter spoken of by God, then that will be when you have achieved success in belief in God, and it will signify that you have been gained by God. God does His work in the entire universe. All those who believe in Him must accept His word, and eat and drink His word; no one can be gained by God through seeing the signs and wonders shown by God. Throughout the ages, God has always used the word to make man perfect. Thus you should not devote all your attention to signs and wonders, but should pursue being made perfect by God. In the Old Testament Age of Law, God spoke some words, and in the Age of Grace, Jesus, too, spoke many words. After Jesus had finished saying these many words, the apostles and prophets that came later caused people to practice according to the laws and commandments set out by Jesus, and caused them to experience according to the principles spoken of by Jesus. In the last days, God principally uses the word to make man perfect. He does not use signs and wonders to oppress man, or convince man; this cannot make plain the power of God. If God only showed signs and wonders, then it would be impossible to make plain the reality of God, and thus impossible to make man perfect. God does not make man perfect by signs and wonders, but uses the word to water and shepherd man, after which is achieved the complete obedience of man and man’s knowledge of God. This is the aim of the work He does and the words He speaks. God does not use the method of showing signs and wonders to make man perfect—He uses words, and uses many different methods of work to make man perfect. Whether it be the refinement, dealing, pruning, or provision of words, God speaks from many different perspectives to make man perfect, and to give man a greater knowledge of the work, wisdom and wondrousness of God. When man is made complete at the time that God concludes the age in the last days, he will be qualified to look upon signs and wonders. When you have a knowledge of God and are able to obey God no matter what He does, you will see signs and wonders, for you will have no conceptions about the reality of God. At the moment, you are corrupt and incapable of complete obedience to God—are you qualified to see signs and wonders? The time that God shows signs and wonders is when God punishes man, and also when the age changes, and, moreover, when the age concludes. When God’s work is being carried out normally, He does not show signs and wonders. Showing signs and wonders is supremely easy, but that is not the principle of God’s work, nor is it the aim of God’s management of man. If man saw signs and wonders, and if the spiritual body of God were to appear to man, would all people not believe in God? I have previously said that a group of overcomers are gained from the East, overcomers who come from amid the great tribulation. What is the meaning of such words? They mean that these people who have been gained only truly obeyed after undergoing judgment and chastisement, and dealing and pruning, and all kinds of refinement. The belief of such people is not vague and abstract, but real. They have not seen any signs and wonders, or any miracles; they do not speak of abstruse letters and doctrines, or profound insights; instead they have reality, and the words of God, and a true knowledge of the reality of God. Is such a group not more capable of making plain the power of God? God’s work during the last days is real work. During the age of Jesus, He did not come to make man perfect, but to redeem man, and so He displayed some miracles to make people follow Him. For He principally came to complete the work of crucifixion, and showing signs was not part of the work of His ministry. Such signs and wonders were work that was done in order to make His work effective; they were extra work, and did not represent the work of the entire age. During the Old Testament Age of Law, God also showed some signs and wonders—but the work God does today is real work, and He would definitely not show signs and wonders now. If He showed signs and wonders, His real work would be thrown into disorder, and He would be unable to do any more work. If God said for the word to be used to make man perfect, but also showed signs and wonders, then could whether or not man truly believes in Him be made plain? Thus, God does not do such things. There is too much of religion within man; God has come during the last days to expel all the religious conceptions and supernatural things within man, and make man know the reality of God. He has come to remove an image of a God that is abstract and fanciful—an image of a God who, in other words, does not exist at all. And so, now the only thing that is precious is for you to have a knowledge of reality! The truth overrides everything. How much truth do you possess today? Is all that shows signs and wonders God? Evil spirits can also show signs and wonders; are they all God? In his belief in God, what man searches for is the truth, what he pursues is life, rather than signs and wonders. Such should be the goal of all those who believe in God.